If you are using reference design AMD Radeon RX 480 GPUs for mining Ethereum only or Dual Mining Ehtereum and DCR or SIA and you still not have tried any of the custom video BIOS roms available from Heliox / Eliovp you should give them a try. With the right clocks and timings you might be able to achieve over 31 MHS hashrate apparently from an RX 480, or a bit less with much lower power consumption if that is what you are looking for – to optimize power usage. As usual with BIOS modifications always make sure you have a backup of the original ROM file in a safe place should something goes wrong, so that you can get everything back to normal operating mode again. The availability of the PolarisBiosEditor tool now also allows users to experiment with different settings and memory timings in order to achieve even better results for their mining configuration, such as optimum hashrate for a dual mining system and not only for mining Ethereum alone. 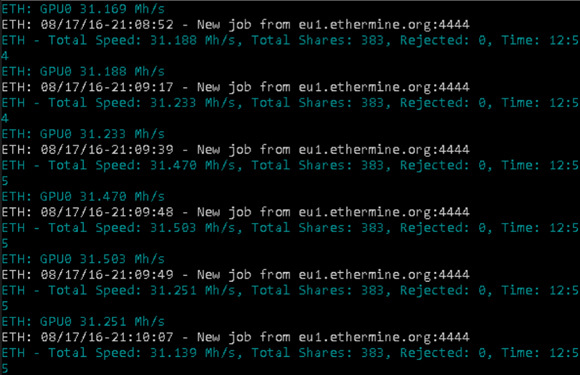 So you might want to check the tool as well and use it to optimize your GPU even not for mining Ethereum for instance as it allows you to play with a lot of settings in the BIOS.